Toilet paper is a fact of life and the quality of what we're using can be pretty important, especially when you have little people learning how to use it for the first time. Now CHOICE has taken the guesswork out of selecting the best option for this household essential from a sea of contenders. The consumer advocacy group says that selecting toilet paper can be a minefield. "You need to decide what ply you want, if you want a scented roll or 'quilted', and then work your way around all the labelling claims on the pack. Ultimately, we all want our toilet paper to be soft and strong, tear easily at the perforation and disintegrate quickly once we've flushed it down the toilet." There was one clear frontrunner with an overall score of 83 per cent. 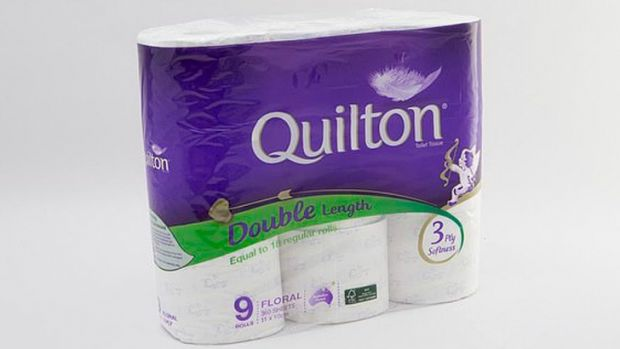 Quilton Toilet Tissue Double Length Prints at 29 cents per 100 sheets was far from the most expensive toilet paper tested, but won the top gong by a comfortable margin when weighing up quality and cost. Which means more comfort for you in both the bathroom and hip pocket. 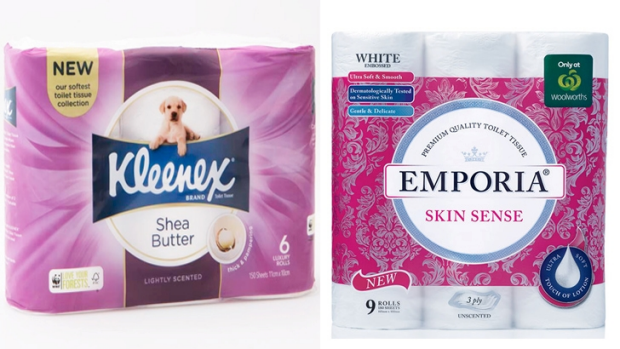 In equal second place with scores of 82 per cent were Kleenex Luxury Collection Shea Butter Soft (67 cents per 100 sheets) and Gentle and Emporia Skin Sense (43 cents per 100 sheets). With the considerable cost difference between these and the top scoring toilet paper, we think this makes the winner all the more deserving. Go forth and buy your Quilton in the full confidence CHOICE has deemed it the best value in all of Australia. For the full list of results, see the CHOICE report.